"Work as a UN peacekeeper in the Middle East and later work in Africa shaped my interest in peace operations, international humanitarian law and human rights." Dr. Ray Murphy is a professor at the Irish Centre for Human Rights, National University of Ireland Galway, Ireland. He completed his B.A. in Political Science and Legal Science in 1979, and then took a Bachelor in Law (LL.B.) degree in 1981. He studied at Kings Inns in Dublin where he completed a B.L. degree and was called to the Irish bar in 1984. He completed his M.Litt. degree in International Law at Dublin University (Trinity College) in 1991. In 2001 he was awarded a Ph.D. in International Law from the University of Nottingham, England. 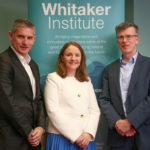 In addition to his position at the Irish Centre for Human Rights, Prof. Murphy is on the faculty of the International Institute for Criminal Investigations and Justice Rapid Response. He is currently the EU Fundamental Rights Agency Senior Expert for Ireland, a member of the Executive Committee of the Association of Human Rights Institutes and a Commissioner with the Irish Human Rights and Equality Commission. He is a former member and Vice Chair of the Executive Committee of Amnesty International (Ireland). He has also conducted training on behalf of the ICRC, No Peace Without Justice, Amnesty International, the UN, the International Institute for Humanitarian Law and the Pearson Peacekeeping Center, Canada. Prof. Murphy was a Visiting Scholar at the Centre for International Law, Al-Haq, Palestine in 2014. He was awarded a Fulbright Fellowship in 2006 and worked with Human Rights Watch in New York as a resident scholar. In 2007 he was awarded the National University of Ireland, Galway Presidents Award for Teaching Excellence, and in 2008 he received the National Award for Excellence in Teaching by the National Academy for the Integration of Research & Teaching & Learning (NAIRTL). Prof. Murphy is a former Captain in the Irish Defence Forces and he served as an infantry officer with the Irish contingent of UNIFIL in Lebanon in 1981/82 and again in 1989. He practiced as a barrister for a short period before taking up his current appointment at the National University of Ireland, Galway. He was Chairperson of the Broadcasting Complaints Commission from 1997 to 2000. He has field experience with the OSCE in Bosnia in 1996 and 1997. He has also worked on short assignments in west and southern Africa and the Middle East for Amnesty International, the European Union and the Irish Government. R. Murphy, Peacekeeping in the Democratic Republic of the Congo and the Protection of Civilians, Journal of Conflict and Security Law, (2016). R. Murphy (with R. Burke), 'Sexual and gender based violence and the Responsibility to Protect: where does gender come in?'. Irish Studies in International Affairs, (2015) 26 :227-256. R. Murphy, Peacekeeping in Lebanon and Civilian Protection, Journal of Conflict and Security Law, (2012)(Journal article). R. Murphy (ed), Post Conflict Peacebuilding and International Law, Ashgate Oxon., (2012). Peace operations and conflict resolution; international humanitarian law and human rights. (2009) A Responsibility to Assist, Human Rights Policy and Practice in European Union Crisis Management Operations, A Cost Report. (2008) UN Peacekeeping in Lebanon, Somalia and Kosovo: Legal and Operational Issues in Practice. (1997) Ireland, Peacekeeping and Policing the New World Order, Centre for Research and Documentation (CRD). (2015) Challenges to the proposed international peacekeeping force for Palestine. (2014) Plight of Palestinian Bedouin depicts impact of illegal Israeli occupation and practices in Palestinian Territory. (2018) Contributor Profile  Ireland 2018, Providing for Peacekeeping. (2014) Correspondent Report on International Humanitarian Law Developments in Ireland - 2013. (2014) Providing for Peacekeeping - Country Profile Ireland 2014. (2011) Report on International Humanitarian Law and related developments in Ireland, Yearbook of International Humanitarian Law, Vol. 13, 2010. (2010) Report on International Humanitarian Law and related developments in Ireland, Yearbook of International Humanitarian Law, Vol. 12, 2009. (2010) Report on International Humanitarian Law and related developments in Ireland, Yearbook of International Humanitarian Law, Vol. 11, 2008. (2009) Report on International Humanitarian Law and related developments in Ireland, Yearbook of International Humanitarian Law 2007, Vol. 10. (2008) Report on International Humanitarian Law and related developments in Ireland, Yearbook of Humanitarian Law 2006, Vol. 9. (2008) Changing the Landscape: Israels Gross Violations of International Law in the Occupied Syrian Golan, (70 pages). (2007) Report on Ireland, Yearbook of International Humanitarian Law 2005, Vol. 8. (2007) Report on International Humanitarian Law and related developments in Ireland, Yearbook of Humanitarian Law 2004, Vol. 7. (2006) Report on International Humanitarian Law and related developments in Ireland, Yearbook of International Humanitarian Law 2003, Vol 6. (2005) Report on International Humanitarian Law and related developments in Ireland, Yearbook of International Humanitarian Law 2002, Vol 5. (2004) Report on Ireland, Yearbook of International Humanitarian Law 2001, Vol. 4. (2002) Report on Ireland, Yearbook of International Humanitarian Law 2000, Vol. 3. (2000) Report on Ireland, Yearbook of International Humanitarian Law 1999, Vol. 2. (1998) Report on Ireland, Yearbook of International Humanitarian Law 1998, Vol. 1. (2012) Post-Conflict Rebuilding and International Law. (2008) Edited Special Edition - United Nations Peace Operations and Human Rights. (2018) 60 years of overseas service, RTE Brainstorm 3 August 2018. (2018) Accountability deficit must be addressed in Syria, RTE Brainstorm, 14 May 2018. (2018) What can be achieved by missile strikes on Syria? RTE Brainstorm, 28 April 2018. (2018) What are Irish soldiers achieving in the Golan Heights? 28 March 2018 . (2015) International court still struggling to have impact, The Irish Times, 29 June 2015, Law Matters, p. 7. (2013) 'UN intervention brigade in DRC must arm itself with extreme caution', The Irish Times, 5 April 2013, p. 14. (2015) War crimes investigation should follow UN inquiry into Gaza conflict, The Irish Times, 26 June 2015, p. 16. (2017) Mladić trial marks end of an era. (2017) Jury is still out on Yugoslav war crimes tribunal. (2017) UN peacekeeping mission to Haiti leaves controversial legacy. (2013) Book Review, S. Wills, 'Protecting Civilians - the Obligations of Peacekeepers', 23 Criminal Law Forum (2013) 403-406. (2011) Cherif Bassiouni (ed. ), International Criminal Law (3 Vols. ): Sources, Subjects and Contents (Vol. 1); Multilateral and Bilateral Enforcement Mechanisms (Vol. 2); International Enforcement (Vol. 3). Martinus Nijhoff, Leiden (2008), International Criminal Law Review, Vol. 11 (2011), pp. 180-182. (2008) Marten Zwanenburg, Accountability of Peace Support Operations, Martinus Nijhoff Publishers, 2005, Criminal Law Forum. (2008) Gideon Boas, The Milosovic Trial, Cambridge: Cambridge University Press, 2007, Modern Law Review, Vol. 71, No. 4, July 2008, pp. 650-653. (2003) Mari Katayanagi, Human Rights Functions of Peacekeeping Operations, (Kluwer, The Hague, 2002)  Human Rights Law Review, 2003. (2001) Restoring and Maintaining Order in Complex Peace Operations. Journal of Conflict and Security Law. (2003) Human Rights Functions of Peacekeeping Operations. Human Rights Law Review. (2007) UN PEACEKEEPING IN LEBANON, SOMALIA AND KOSOVO Operational and Legal Issues in Practice PREFACE AND ACKNOWLEDGMENTS. (2007) UN PEACEKEEPING IN LEBANON, SOMALIA AND KOSOVO Operational and Legal Issues in Practice Conclusion. (2007) UN PEACEKEEPING IN LEBANON, SOMALIA AND KOSOVO Operational and Legal Issues in Practice Introduction. (2010) Conviction in Cambodia a Victory in Fight Against Injustice, Amnesty International Ireland, http://www.amnesty.ie/news/conviction-cambodia-victory-fight-against-injustice. (2015) United Nations Peacekeeping Capability Readiness System (UNPCRS) in Max Planck Encyclopaedia of Public International Law. (2013) United Nations Standby Arrangements System (UNSAS)(updated). (2004) War in Encyclopedia of Genocide and Crimes Against Humanity, 2004. (2004) United Nations General Assembly in Encyclopedia of Genocide and Crimes Against Humanity. (2015) 'UN must take decisive action to end abuse', The Irish Times, 24 August 2015, p. 12. (2014) 'Ireland should maintain Golan Peacekeeping Force', The Irish Times, 3 September 2014, p. 14. (2014) 'Controversy sure to follow inquiry into Gaza strife', Irish Times, 15 August 2014, p. 14. (2014) Letter from Ramallah - Besieged Bedouin camp misrocosm of Israeli occupation and settlement policy - The Irish Times, 19 March 2014, p. 10. (2013) 'Defence Forces deployment to Golan Heights a positive move', The Irish Times, 18 July 2013, p. 16. (2013) International players fiddle while Syria burns, The Irish Times, 4 Feb 2013, p. 12. (2013) Is the pursuit of international justice flawed? The Irish Times, 6 June 2013, p. 14. (2012) Ilusory UN peace plan has failed to stop Syrian horror, The Irish Times, 31 May 2012, p. 14. (2012) A milestone for international court as notorious warlord is brought to justice, The Irish Times, 28 March 2012, p. 18. (2012) Cambodia War Crimes Tribunal at risk of failure, Irish Times, 16 February 2012, p. 14. (2012) Ireland not fulfilling child soldier obligations, Sunday Business Post, 1 January 2012, p. n 22. (2011) Peacekeepers on Lebanon need support on the ground, The Irish Times, 27 June 2011. (2011) Is it time for a World Court of Human Rights?, Sunday Business Post, 2 January 2011. (2010) Why is UN leaving Chad to banditry and strife?, The Irish Times, 11 May 2010. (2010) Irish and UN forces faced with dilemma in Lebanon. The Irish Times, 20 Dec 2010. (2007) UN Must Take Central Role in Darfur Crisis. The Irish Times. (2006) Peacekeeping mission can work only if given mandate and means, The Irish Times. (2005) UN must refer atrocities to International Court. The Irish Times. (2004) Strong credible evidence of War Crime. The Irish Times. (2004) Historic Guantanamo Bay ruling has Wide Implications. The Irish Times. (2003) Liberia mission involves significant risk, The Irish Times. (2003) EU Bewildered by Ireland's Attitude to Peacekeeping Force for Macedonia. The Irish Times. (2002) Israeli Action in Jenin far from a Proportionate Response. The Irish Times. (2008) Darfur in Crisis, Amnesty International Ireland. (2007) Annotation of the Defence (Amendment) Act 2007. Irish Current Law Statutes Annotated. (2007) Annotation of the International Criminal Court Act 2006. Irish Current Law Statutes Annotated. (2007) Annotation of the Defence (Amendment) Act, 2006. Irish Current Law Statutes Annotated. (2002) Report on Children in Armed Conflict Worldwide: Ireland's Commitment to Child Protection, Dublin. (2001) Criminal Justice (Safety of United Nations Workers) Act, 2000'. Irish Current Law Statutes Annotated. (2001) UNIFIL  An Interim Analysis' and Background to the Battle of At Tiri. (2000) The Criminal Justice (United Nations Convention against Torture) Act, 1999'. Irish Current Law Statutes Annotated. (2000) The Permanent International Criminal Court  solving the missing link in the international legal system? . Irish Law Times. (1999) Annotation of the International War Crimes Tribunal Act, 1998. Irish Current Law Statutes Annotated. (1998) Annotation of the Geneva Conventions (Amendment) Act, 1998 . Irish Current Law Statutes Annotated. (1998) Municipal Legal Basis for Irish Participation in Military Operations Abroad'. (1997) Conflict Resolution and Peacemaking/Peacekeeping: the Irish and Canadian Experience. (1994) New Departure for Ireland in Peacekeeping: Evolution or Invention?' . (1993) Case and Comment-Private William Murphy (Appellant)'. (1993) The Competition Act 1991 and Recent Developments'. (2011) The Assessment and Update of Customary International Humanitarian Law in Ireland. (2010) Report on International Humanitarian Law and related developments in Ireland. Yearbook of International Humanitarian Law. Peace operations; international humanitarian law; human rights; alternative dispute resolution and land law.